The EZkeys Line includes several classic analog and electric pianos, all captured in world-class studios using the best in modern and vintage recording equipment. Each EZkeys sound library title comes with the same functionality and MIDI library. The MIDI covers all major styles from pop, rock and gospel to country and jazz. Thanks to this, coupled with the revolutionary software functionality of EZkeys, writing songs has never been easier. Drag and drop MIDI, add color and transpose included or your own imported MIDI on the fly – the sky is the limit! The separately available MIDI titles cover a wide range of styles – from country and jazz to indie pop, latin, rock, funk, blues and more. Keys MIDI Packs expand the core content in EZkeys with new settings. 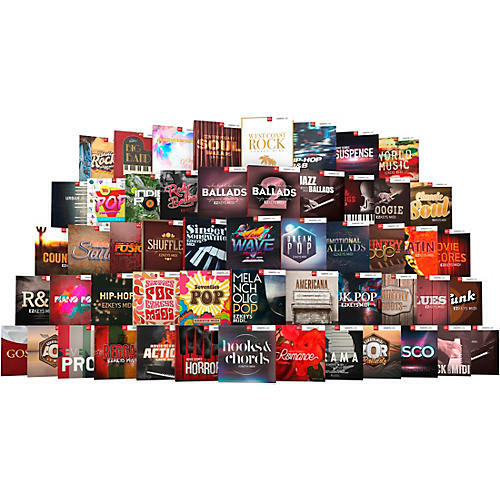 Upon purchase of this EZkeys MIDI Pack you'll be able to choose a single MIDI Pack from the ever-growing Toontrack collection that offers professionally played piano and keyboard variations for a wide range of styles.